I know when most people think of the flavors of the holiday season, they think of pumpkin and peppermint & chocolate. 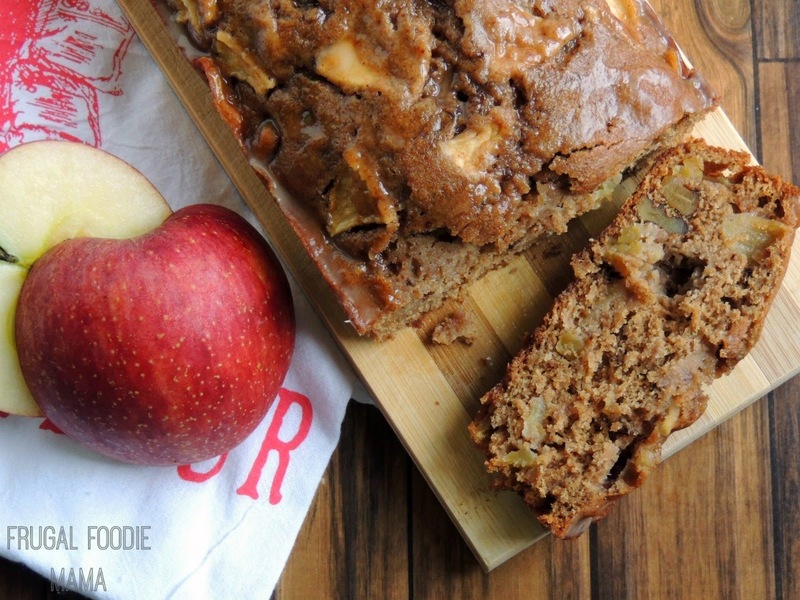 But for me it is all about the chai spices... and the apples! We go apple picking as a family every single fall, and I go to work over that next week or so making apple butter, baking a pie or two, and trying my hand at a few new apple inspired recipes as well. 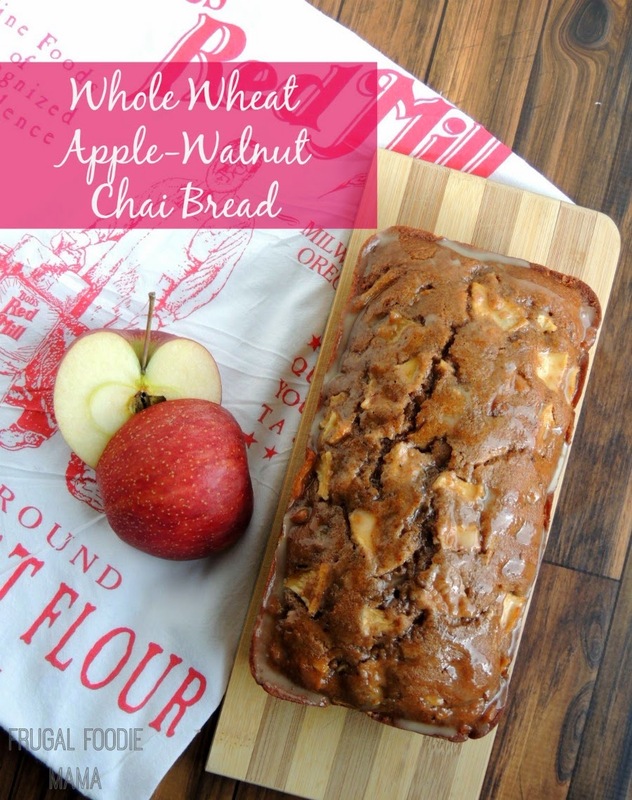 This recipe for Whole Wheat Apple-Walnut Chai Bread is definitely an exception to my usual holiday (ahem... indulgent) baking. 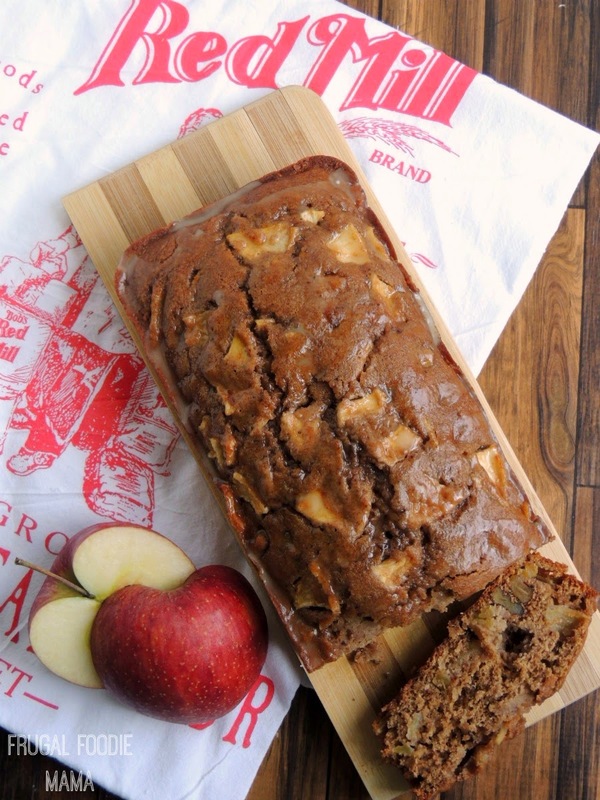 My inspiration for creating this holiday perfect quick bread that you can also feel good about indulging in? The sack of Bob’s Red Mill Organic Whole Wheat Flour that I received in the mail. 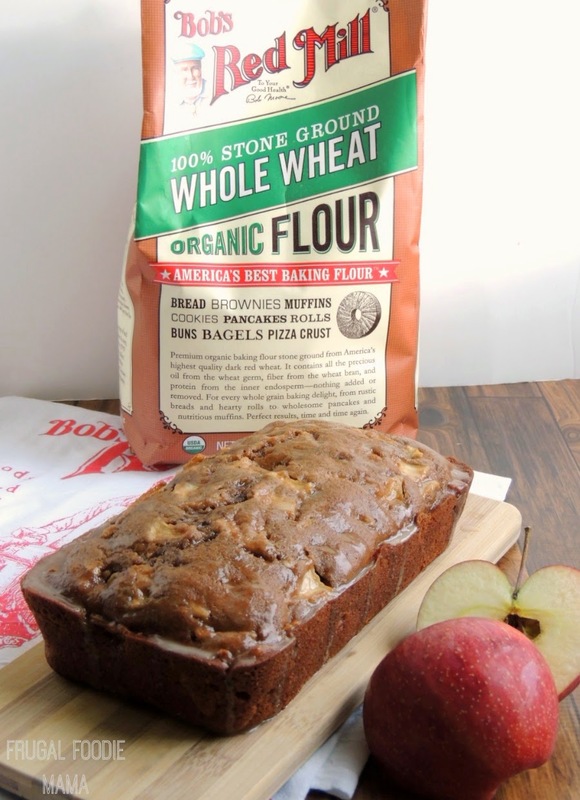 :) Bob's Red Mill wheat flour is stone ground from organic hard red wheat, leaving all of the nutritious bran and germ still intact. All of the wholesome goodness is retained in the process of grinding the flour. 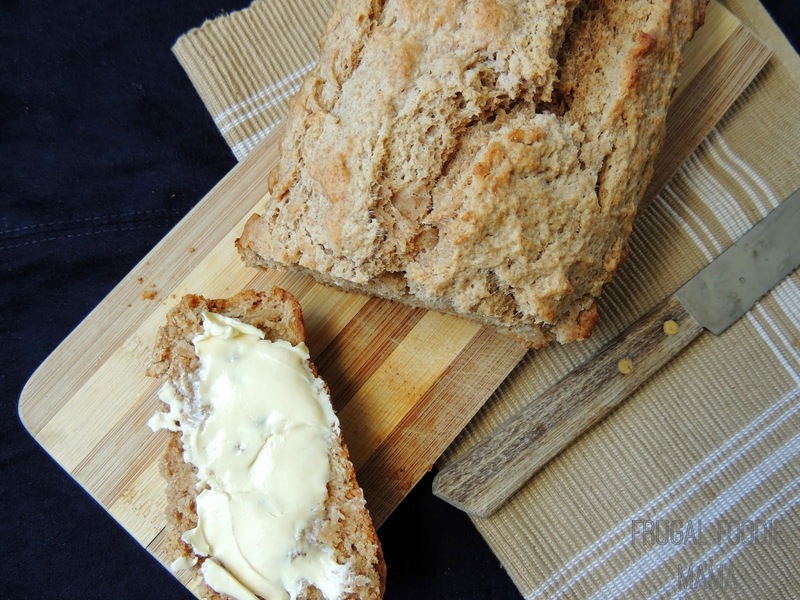 And when I read that their whole wheat flour was ideal for bread baking, I knew that I just had try my hand at making a bread with it. Preheat your oven to 325 degrees. Spray a loaf pan with cooking spray. Set aside. In a large mixing bowl, beat together the egg, sour cream or yogurt, and coconut milk. In a separate bowl, whisk together the flour, the brown sugar, all the spices (the cinnamon through the cloves), the salt, baking soda, and baking powder. Add the flour mixture in thirds to the wet ingredients, mixing well after each addition. Add in the coconut oil and stir well. Now fold in the chopped apples and walnuts. Pour the bread dough evenly into the prepared loaf pan. Bake at 325 for 50-60 minutes, or until a toothpick inserted near the center comes out clean. Cool in the pan for about 10 minutes and invert onto a cooling rack to cool completely. Once the bread has cooled, prepare the chai tea glaze. Whisk together the powdered sugar and cooled chai tea until smooth. Drizzle over the loaf. Store any leftovers tightly wrapped in the fridge.